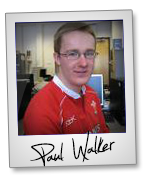 Paul Walker – Elite Store Builder Affiliate Program JV Invite, More. Welcome to the JVNP 2.0 Update featuring a primary JV request courtesy of fellow JVNP 2.0 Partner Paul Walker (Elite Store Builder – WP plugin – JVZoo affiliate program JV invite), Buzz Builders and More … in Today’s elite e-commerce store commission edition. Fellow JVNP 2.0 Partner, earn up to $137 for every lead you send to our website… and your leads will thank you for this! We would like to invite you to the launch of our new product Elite Store Builder, a totally legit product that you’ll be proud to promote. >>> Check out the Elite Store Builder JV page for all the details. The complete solution that will help anyone without any knowledge or skills to create their own e-commerce stores or their passive income streams within minutes…. You can be proud to promote it and make your easiest commission EVER! We are an experienced team which has done multiple top Clickbank and JVZoo launches. We know what the market needs and what sells. We know how to maximize your EPCs and earning. Affiliates love to promote our launches because they love the conversion rate and the quality of our products. We have prepared everything to make this launch to be our best ever. After long testing process we expect an average $3.5 EPC. Elite Store Builder is a top notch WP plugin that will turn any boring WP site into beautiful e-commerce stores that will sell well. >>> Register here to grab your Elite Store Builder promo tools. Support Us & We’ll Support You! That means you can double down easily on your earnings here. We have $2,000 in cash prizes to give away. Plus we also have many surprised prizes during the launch. We have managed to get the biggest hitters on board. So be sure to mark 10th April on your calendar as it would be an insane! Our contact details can be found on the JV page, below. We’ll try to get back to you as soon as possible. >>> Visit the Elite Store Builder JV page for product and JV offer info + More. Alper Aribal, Joshua Zamora + Radu Hahaianu, Patric Chan, Chris X, John Pearce, Christian Fea, Greg Jacobs, Matt Wolfe and other fellow JVNotifyPro 2.0 partners are waiting in the wings … keep your eyes on your Inbox, and follow the action in the JVNP 2.0 Premium VIP JV Announcement archives. Posted in Joint Venture Announcements	| Tagged Affiliate Marketing, Affiliate Program, Affiliate Program Directory, Affiliate Programs, Attract Affiliates, Attract JV Partners, Best Autoresponders, Best Email Marketing Services, Best JV Brokers, Buzz Builders, e-commerce store builder, Elite Store Builder, Find Affiliates, Find JV Partners, Home Business, Internet Marketing, Joint Venture Blogs, Joint Venture Forums, Joint Ventures, JV Announcements, JV Blogs, JV Forums, JV Invite, JV Launch Calendar, JV Product Launch Calendar, JVListPro, JVNewsWatch, JVNotifyPro, JVZoo, Make Money Online, Marketing, Mike Merz Sr, New Product Launches, Niche Marketing, Online Business, Paul Walker, Product Launch Calendar, Work At Home, WP Plugin	| Comments Off on Paul Walker – Elite Store Builder Affiliate Program JV Invite, More.